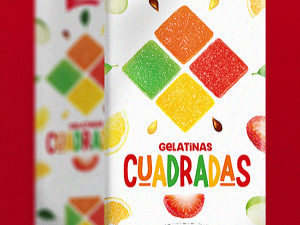 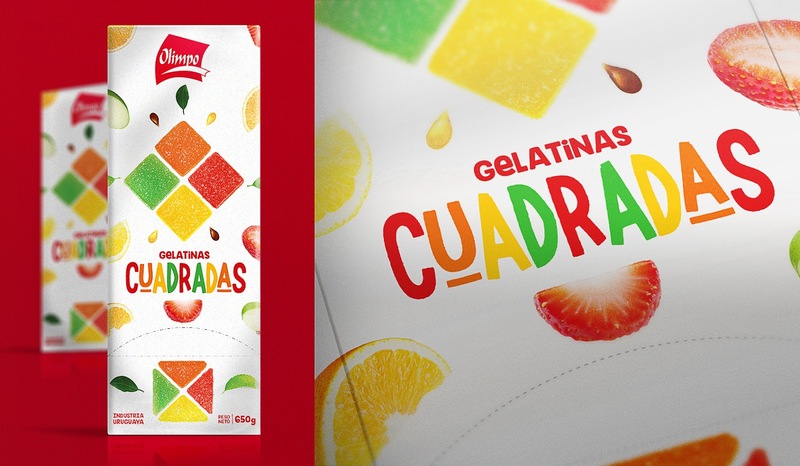 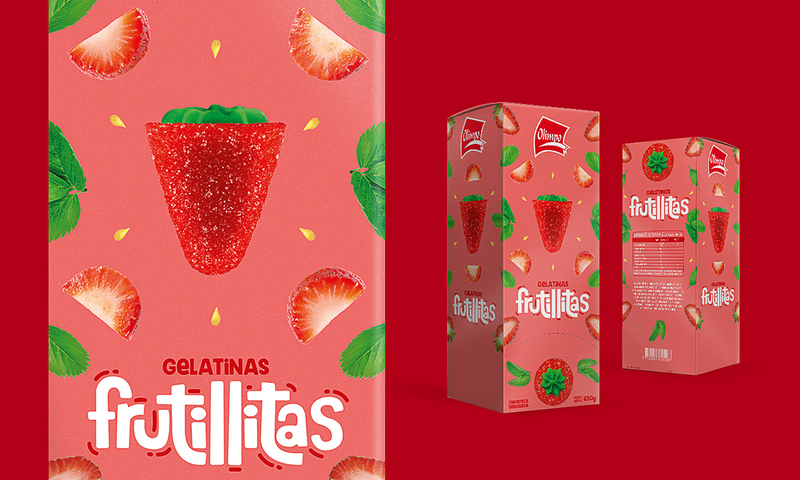 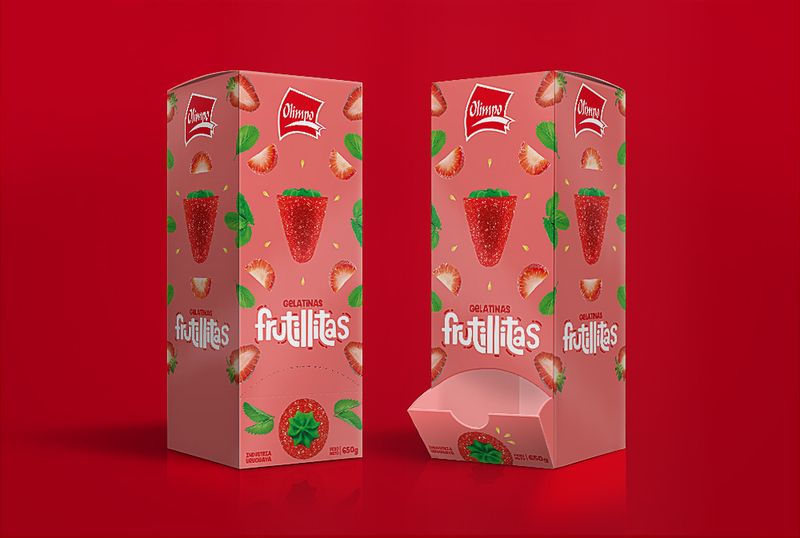 Renewal of product image and packaging line for Gelatinas Olimpo. 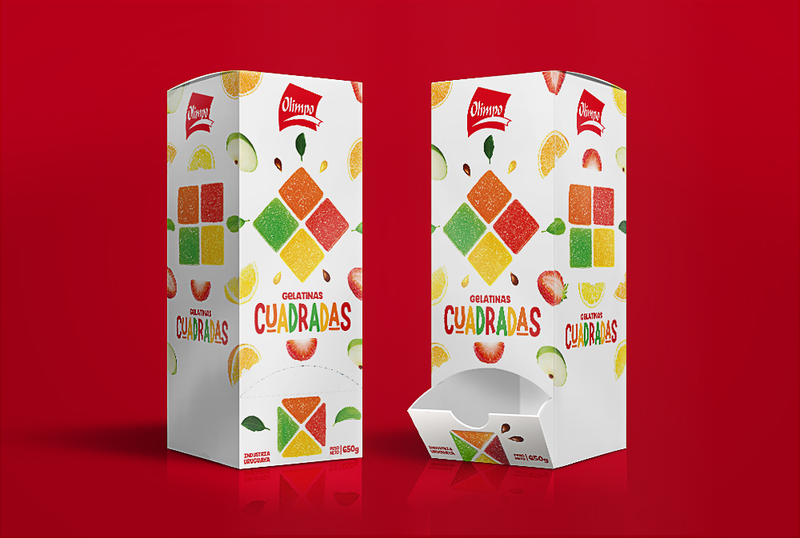 the premise was to unify design criteria and show the product in a different and more appetizing way. 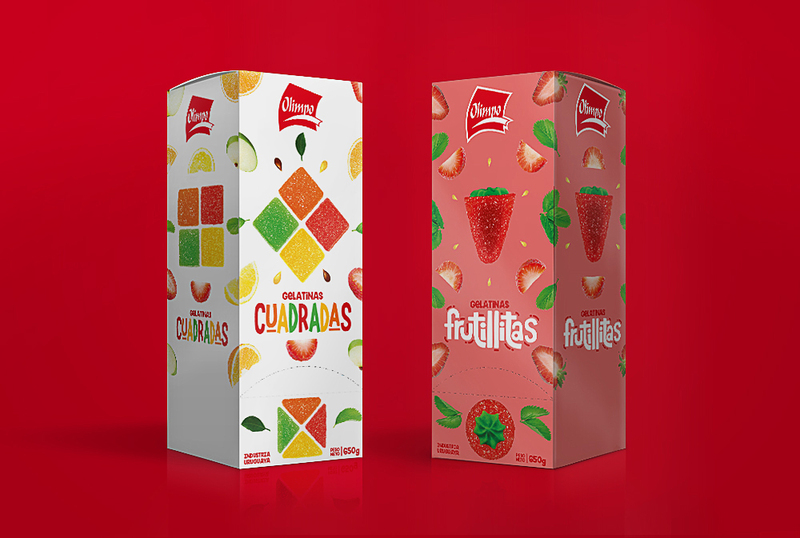 For this we generate "kaleidoscopic" compositions showing each flavor in a striking and playful way.